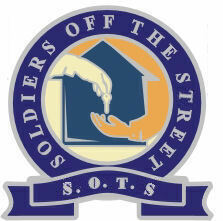 Soldiers Off The Street Registered England/Wales Charity No. 1137594. Soldiers Off The Street Registered Scotland Charity No. SC042204. © 2013. Soldiers off the Street. Designed & Published by Soldiers Off The Street Company Limited by Guarantee No. 07018818. Sorry for the inconvenience but we think you will like our new site!